Utah Football Camps offer high quality sports education and skill enhancement. If you want to take your play to the next level, our camps are perfect for you. You will be instructed and motivated by the best college coaches in the nation. Utah Football is pleased to offer a range of levels for the football camps. From youth players with no football experience, to high school players who are looking to continue playing in college. Our camps are a great forum for campers to learn about the game of football and become overall better football players. Additionally, our staff and players direct our camps and will help you to improve your fundamentals and football technique, while also learning important life skills such as trust and accountability. You will have a fun and memorable experience, and we would love the opportunity to work with you this summer. Who: High School Team Camp (limited by number of teams). Varsity Teams only, and only one team per 7-On-7 Skills or Lineman Challenge. Register your team with the first and last name of the Coach, name of the high school, and the Coach's email address. This is not an individual sign-up for each of the players. Once you are registered, the Coach will receive a confirmation email from us on the rest of the details of the camp. We are entering our 15th consecutive year of Utah Football Camps and we look forward to seeing you this June! 1. To provide a fun and memorable experience for you. 2. Improve your game by teaching you football skills and fundamentals. 3. 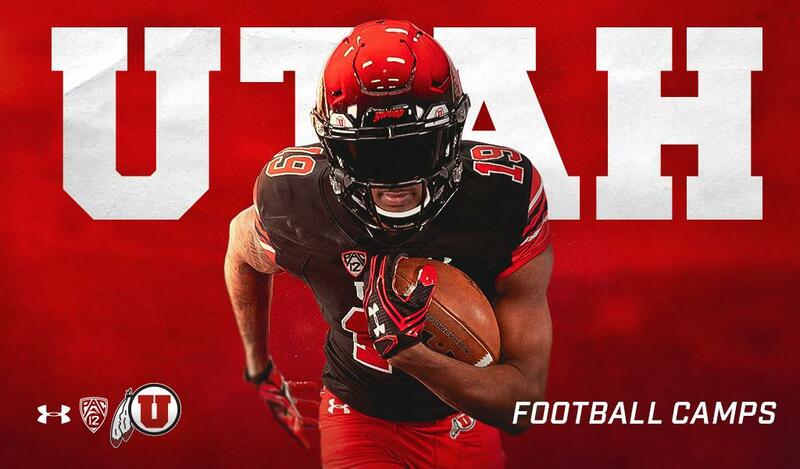 To showcase what the University of Utah and the Utah Football Program have to offer you. You will be coached by the Utah Football coaching staff while practicing in state-of-the-art practice facilities on the beautiful University of Utah campus. You will be instructed in the same core values that direct the Utah Football Program. In short, you will have the opportunity to experience the life of a University of Utah student-athlete. Thank you and Go Utes!